David C. Lithgow; from a 1978 edition of The Times Record. David Cunningham Lithgow was born in Sheffield, England on 12 November 1868 but immigrated to the United States from Glasgow, Scotland as a young man, finally settling in the Capitol region in 1890. Some of his art depicts scenes of the Adirondacks, where he once had a cabin. Some family members believe he lived for a time on an Iroquois reservation and sketched many of its residents. 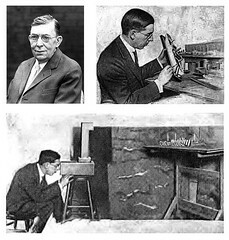 Starting with odd jobs—draftsman for the Gilbert Car Works, drop painter at the Strand Theatre in Albany and Proctor’s in Troy—Lithgow became a nationally recognized artist. Some of his works include civic auditoriums in Cleveland, Ohio and Long Beach, California, and the courthouse in Elizabethtown. Lithgow lived at Hudson Avenue on Green Island until his death on 26 May 1958 at age 89. Lithgow’s sculptures can be found throughout Albany, including the Spanish-American War Monument at Townsend Park and the St. Andrew’s Monument at Albany Rural Cemetery. Some of his other murals can still be found in financial institutions such as the Fleet Bank at State and Pearl Street, the State Bank of Albany, and the Cohoes Savings Bank. His most well-known murals, however, are probably the Iroquois paintings in the State Education Building. 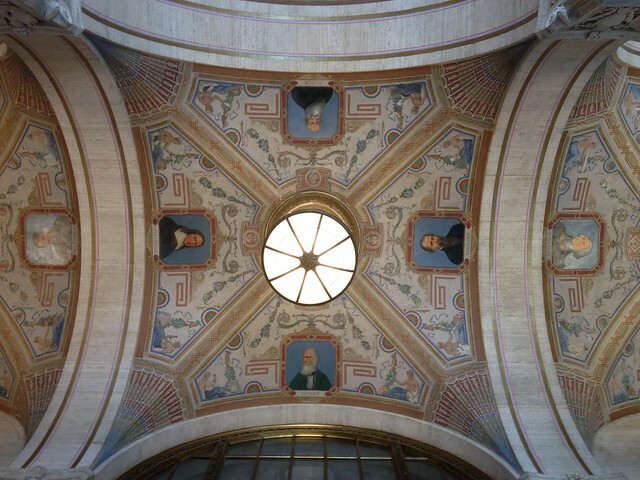 The Smith Lobby Ceiling Mural is attributed to Lithgow, but in the center panel, four small faces are painted next to three names: William Andrew Mackay, Louis J. Borgo, and Charles B. Falls. 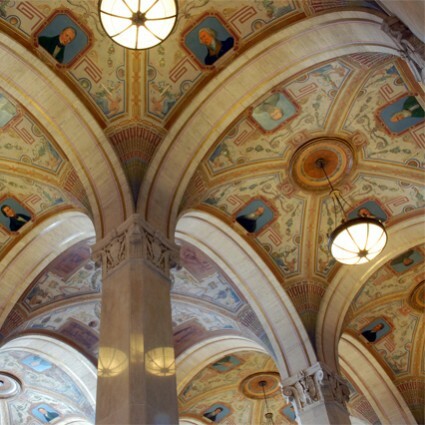 Mackay and Borgo also painted the ceiling of the State Office Building in Buffalo, and Falls was a professional illustrator. 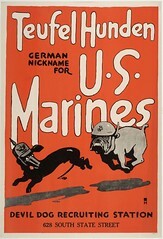 Interestingly, Falls developed propaganda posters during World War I, including some of the earliest uses of the “Devil Dog” by the Marines, while Mackay helped design camouflage for ships. This center section features four modes of transportation and commerce: trucking, flight, shipping, and locomotives. A diagram of all the faces in the ceiling murals can be found by clicking here. 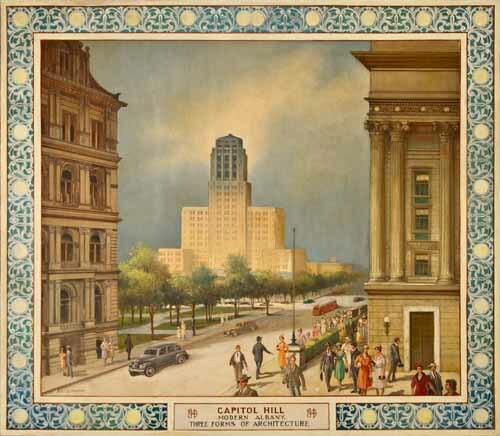 From 1933 to 1946, Lithgow worked on a series of fourteen murals at the Milne School in what is now the second floor of the Nelson A. Rockefeller College of Public Affairs and Policy at the University of Albany. It is no surprise that the themes he explored in those later murals—the Mohawk people, Albany as a trading port, and Henry Hudson’s 1609 voyage—reflect a long painting career accentuated by his projects on Capitol Hill. Those paintings are currently being restored. In fact, one of the University murals is of Capitol Hill itself, complete with an image of the Smith Building. This entry was posted on October 27, 2014 by Fred Schrock. It was filed under Uncategorized .